When you think about vapour what is it that springs to mind? Is in condensation, is the a table or a graph at school that explains the phenomenon? Is it a vaporizer or is it a steaming cup of coffee? Is it windows or mirrors that become foggy and translucent in bathrooms when the shower is left running? Whichever image comes to you, it probably isn’t vapour passing through walls and into your foundations, leaving them weak and vulnerable to more damage in the future. But, don’t worry, that is what we are here to worry about and fix for you. Keep on reading to find out how we will be able to do this. The reason why substantial amounts of water can sometimes fill the soil on either side of a house, near the walls, is because “virgin soil” is created when soil is disturbed. Think about it, it is rare for deep soil to ever be disturbed. Surface soil, sure but when it goes about five feet deep, the soil, barring some human intervention, has probably been compacted in the same way as it has for thousands of years. Therefore heavy rainfall is less likely to sit on the top of the ground, like it normally does and it is more likely to seep down and cause problems for the foundations that are next to it. This is almost like a trick of the eye - water builds up and you don’t necessarily see it - but it is there. Most foundations, basements and the supports of crawl spaces are either made of concrete or they have a concrete component. Concrete is a strong and sturdy material and it is one of the best in preventing water flow. However, when the build up and the saturation just gets too much, the water will find its way through the cracks and the corners in the form of vapour and it will look like condensation on the other side. This is not a problem unless it happens many times over a long period, that is when you are increased risk of water damage. Although these things have varying degrees of permeability, they are much better than any wall at keeping the damp out. When you have a wall as well as a barrier, you can’t lose! They are normally made of plastic or foil and they form a sheet of solid protection that separates the foundation and the soil around it. 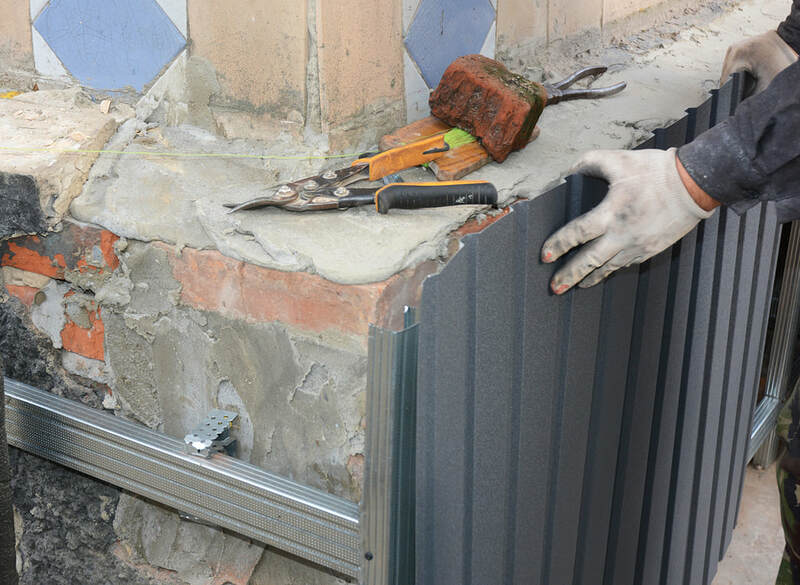 Whether it is going to be employed for particular areas of a foundation, around a crawl space or against a basement wall, these things are a great addition to your ‘drainage system’ and they can help prevent many many problems in the future. Contact us now for a free quote or to arrange a free inspection. We can inspect the damage you have already incurred and then we can advise on the best course of action. If that is a vapor barrier, then we can not only sell you one at a very good price, but we will come and install it as well. This shouldn’t take long and it won’t interrupt your daily life. It will cost less that you might expect as well.